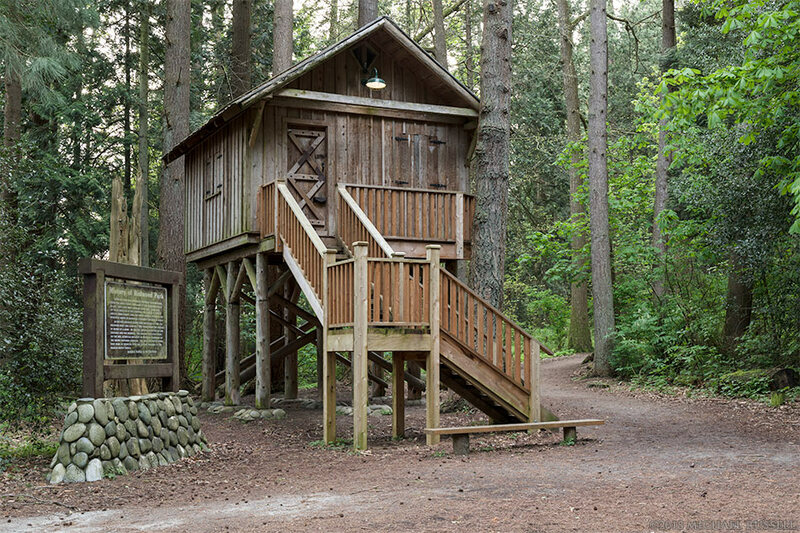 The treehouse at Redwood Park in Surrey, BC was one of the spots I liked to visit with my parents when I was a kid. After a short walk through the woods the treehouse would appear and I always found it interesting to look at. 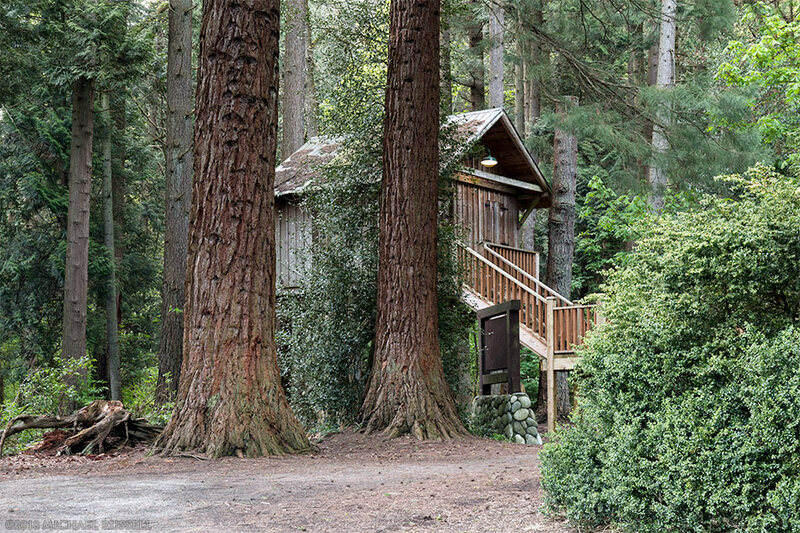 The original treehouse (built in 1878) was constructed by Peter and David Brown, twin brothers who were given the land by their father. They planted many trees on the property instead of farming on it, and lived in the treehouse until their deaths in 1949 and 1958. This, unfortunately, is not the same treehouse. The Surrey Parks page says this is a replica of the original treehouse that once stood here, but the sign next to it says it is a different design. Why they would erect a new treehouse that didn’t match the old one, if the old one was too rotten to repair, is not a decision I understand. However, this is still a nice park to walk through, and I still like the new treehouse. I’m sure that kids who are as old now as I was back when I first saw this are just as interested. While the treehouse is the main attraction, there is also a grove of mature Sierra Redwoods (Sequoiadendron giganteum which is also known as the Giant sequoia) at Redwood Park. The Brown brothers filled the area with their favourite trees from around the world. Many of the trees here are labelled with signs bearing their common and latin names. There are a few of these species I plan on photographing this fall as well as many native Maples that look like they’ll be spectacular if the weather is right. You can view more of my photos from the City of Surrey in my Surrey Gallery.